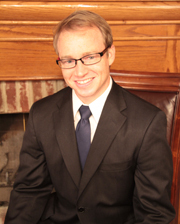 C. Michael Daily is a member of Daily & Woods, PLLC. He practices primarily as an property lawyer, oil and gas lawyer, and estate planning and probate lawyer. Mr. Daily is a graduate of Hendrix College (B.A.) and The University of Arkansas at Little Rock (M.B.A. and J.D.). Mr. Daily is licensed to practice in Arkansas, Oklahoma, North Dakota, and Wyoming in the areas of real estate property and oil and gas law. He also serves as an editor of the Arkansas Real Estate Review and member of the Marketable Title Standards Committee. Mr. Daily is also an adjunct professor at The University of Arkansas, Fort Smith and Pulaski Technical College, in Little Rock, Arkansas, teaching courses in real estate property law, commercial law, civil litigation, and oil and gas law. He is a frequent presenter of continuing legal education programs on natural resource law subjects, having presented papers to the Arkansas Natural Resources Law Institute, the Fort Smith Association of Professional Landmen, and the Arkansas Bar Association's Annual and Mid-Year Meetings. On several occasions, he has been chosen to present at the Arkansas Bar Association's Best of CLE seminars. Mr. Daily is an avid runner and former college soccer player. He holds a national coaching certification and coaches teams for the Fort Smith Express soccer club and area high schools. If you would like to contact Mr. Daily about a legal issue, have a question that requires the advice of a property, and oil and gas lawyer, you can contact him by email at mdaily@dailywoods.com, or by calling the Daily & Woods office at 479-242-3953. You can follow Mr. Daily on Twitter, Linkedin and Google +.